When constructing a temporary corrugated point of purchase display, and are looking to attach panels, we carry different versions to meet all your possible needs. 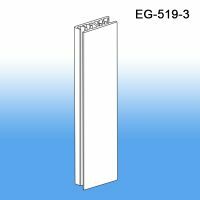 Do they meet up flush with each other, are you looking for a 90 or 60 degree angle, do you require a 4 way panel attachment? Look through our product options and contact us with any questions. 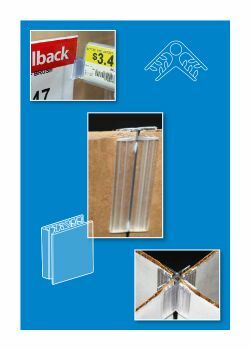 Clip Strip Corp. carry's retail POP display construction component parts including panel grippers, fasteners, hook and loop, casters and internal support devices all in an effort to help you build the perfect display for your in store merchandising success! 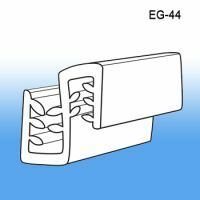 Minimum quantity for "1" Long Grip-Tite™ H Clip, EG-519-1" is 50. 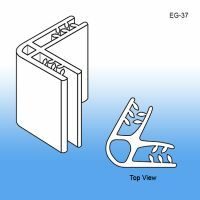 Minimum quantity for "3" Long Grip-Tite™ H Clip, EG-519-3" is 50. 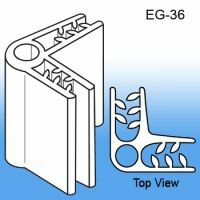 Minimum quantity for "Grip-Tite™ 2-Way 90° Panel Connector / Sign Holder, EG-36" is 100. 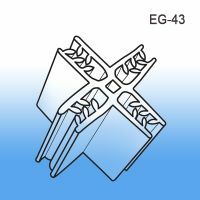 Minimum quantity for "Grip-Tite™ 2-Way 60° Panel Connector/Sign Holder, EG-37" is 100. Minimum quantity for "Grip-Tite™ 2-Way Sign Holder and Panel Gripper, EG-44" is 100. 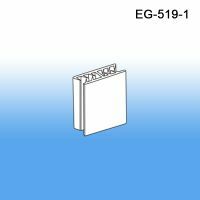 Minimum quantity for "Grip-Tite™ 4-Way POP Display Panel Former (90°), EG-43" is 25.